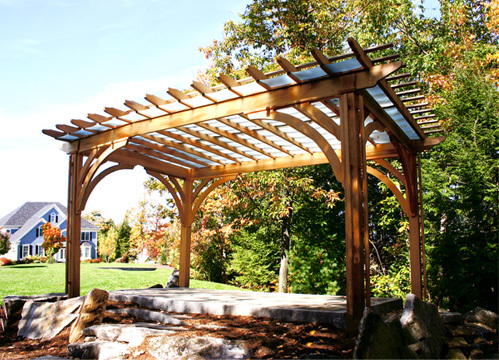 Asked to create an outdoor pergola that would protect the client from rain and sun; we devised a system to incorporate attractive acrylic inserts. These panels are a very soft color with a subtle pattern. Pressed into grooves between the rafters, at a slight angle for drainage, there are no seams and no leaks. 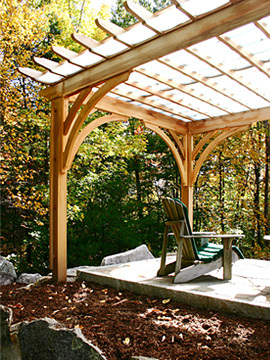 Peaked purlins above contribute to additional shade and allow for the growth of vines over the acrylic panels.